“The best writing occurs on a narrow ledge between fact and fiction”, states Evelyn Juers midway through The House of Exile. “That uneasy place the poet Wallace Stevens calls the metaphysical streets of the physical town”. She would say that, really. The House of Exile is described as a ‘collective biography’ but in reality it inhabits just such a street in just such a town. In his 2010 book Reality Hunger: A Manifesto David Shields called on contemporary artists to shake off the hackneyed garb of fictional plot and imaginative flight and bring art and reality together in their work. 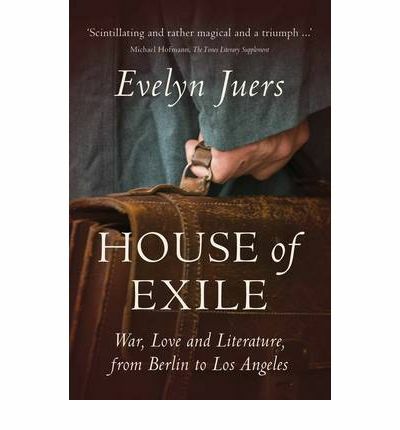 The House of Exile is precisely the sort of work that Shields’ book prophesies – a genre-blurring confluence of novelistic prose and historical documentation, primary sources mixed with fictional techniques and unashamed departures into the realm of speculation, amplifying the element of fiction contained within any biography. Despite its novelistic style and fictional elements, The House of Exile is founded on biographical practice. It follows the Mann family – primarily Heinrich, the left-wing German novelist, activist and anti-fascist campaigner, and Thomas Mann, his more illustrious but less sympathetically portrayed younger brother – as they are forced to flee their homeland by the rise of the Nazis, and eventually driven across the Atlantic by the outbreak of WW2. However, though devoting plenty of time to reconstructing their personas out of historical detritus – their novels, diaries, pieces of correspondence, newspaper reports, testimonies of friends and associates – Juers’ vision is more panoramic than that of the conventional biographer. She assembles a loosely connected cast of peripatetic artists and intellectuals that encompasses some of the most important names in modern European letters: Musil, Doblin, Kafka, Benjamin, Brecht, Woolf, Joyce, Roth, Bloch. For anyone with an interest in continental modernism this is wonderfully rich material, yet the book’s narrative pacing and elegant design are such that it can be enjoyed without too much prior knowledge. Indeed, the material is sufficiently fascinating – framed by the political and aesthetic debates of the era, with illuminating insights into the personalities and day-to-day lives of its most important artists – that Juers’ more overt fictional interventions are not always entirely welcome. Her project is an interesting and admirable one, following in a rich tradition of works that probe the intersection of fact and fiction: JM Coetzee’s trilogy of Boyhood, Youth and Summertime, the semi-fictional works of WG Sebald, Vladimir Nabokov’s artfully reconstructed memoir Speak, Memory, right back to Marcel Proust. Yet in practice the more obviously fictionalized moments are those that tend to be Juers’ least successful. An inauspicious opening vignette involving Brecht, Heinrich Mann and his wife Nelly, would be indistinguishable from a supermarket-shelf potboiler if not for the names of the characters (“He turned toward them and waved. The Californian sun glinted from his glasses like the sword of Zorro”). The book is top-loaded with this kind of literary posturing, as Juers sets the scene by introducing us to the main characters – first during their purgatorial wartime stint in the US, before imaginatively transporting us back to the childhood of the Mann brothers in Germany. Unfortunately it doesn’t do us, or her, that many favours. The problem is that during these moments Juers comes across as a frustrated novelist, adopting a lyrical style that doesn’t play to her strengths. That which is presumably meant to sound profound often just sounds clichéd: “Julia mourned as only a child mourns, with an unwavering fidelity to all she’d lost”; Heinrich produces his work “in hot flushes of creativity”; “the excitement of the moment coursed through his veins and he could not stop the chain of thought”. In general Juers’ fictional refashioning of her material works best when it is least obvious, and it recedes into the background as the book progresses, squeezed out as history plunges toward the abyss of WW2 and all of its attendant horrors. Juers takes care to occasionally remind us of the hybrid nature of what we are reading by punctuating the narrative with nudge-nudge wink-wink references to aesthetic statements such as Stevens’ ‘metaphysical streets’, or openly acknowledging the artistic license involved in the act of narration (“St Paul, she might have told the young man serving in the shop, found his refuge in a cave”). She might convince us more when she recedes into the background, but throughout Juers is responsible for shaping our attitudes towards the main characters, whether overtly or insidiously. Virginia Woolf emerges as flighty, introverted and eccentric, but charming and full of irreverent insight; Joyce is a self-obsessed bore who “was upset that the publication of Finnegan’s Wake was upstaged by the war”; Heinrich Mann is warm, generous and admirably energetically in his convictions; Thomas Mann, on the other hand, is a conceited big-time Charlie who hobnobs in Princeton with Einstein rather than speaking out against the Nazis, and is frequently referred to as uptight, priggish and repressed. In a kind of reverse characterization Juers also portrays him as plagued by sexual arousal, seemingly colouring him with some of the traits of Aschenbach, the protagonist of his own Death in Venice. Sometimes it does seem that Juers harbours something of a grudge against Thomas, the much-fêted elder statesman of German letters who has so overshadowed Heinrich in posterity. Thomas’ patrician disapproval of Heinrich’s wife Nelly – 17 years his junior and a former housemaid whom Thomas regards as common and crass – seems to have done little to endear him to our historical demiurge. After driving a distraught Heinrich home following Nelly’s funeral, we are told: “Thomas believed Heinrich did not have a cent because Nelly had spent all of his money, and on top of that, had incurred debts. In the evening, Thomas continued reading Kierkegaard”. No appeal is made to historical evidence to substantiate this self-absorbed and uncaring portrayal, and accordingly it reads as something of a low blow against one whom mortality has deprived of his right of reply. 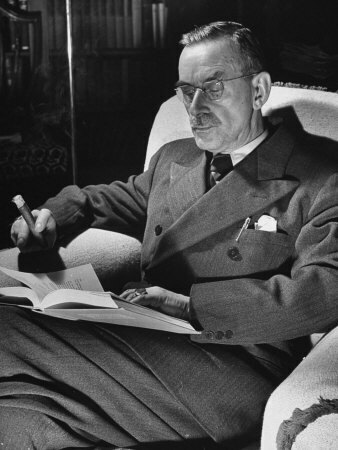 Indeed, telling the story of the peripheral figures overshadowed by Thomas Mann’s imposing reputation seems to be one of the motivating factors behind Juers’ book. Despite being surrounded by a dream team of 20th century literary giants, it is Nelly who emerges as the unlikely hero of the piece. In her passion, warmth and humility she is everything that Thomas is not, and Juers makes no attempt to hide her personal affection. She, along with so many of Germany’s most talented sons and daughters, does not live to see her homeland liberated from the horrors of Nazism. It is this looming spectre of historical inevitability that gives Juers’ entire narrative its tragic undertone, and makes this absorbing work such an emotionally as well as intellectually engaging read.